PLEASE NOTE: IF YOU HAVE A TICKET FOR THIS TOUR THEN BE ADVISED THAT YOU WILL TO WEAR SENSIBLE SHOES AND ONES THAT YOU DON'T MIND GETTING POTENTIALLY WET. Here is another exclusive opportunity to visit a ‘lost’ Manchester building that has sat empty for years. The former city centre home to Manchester Metropolitan University is being transformed by Capital & Centric and Henry Boot Developments into Manchester's newest neighbourhood. 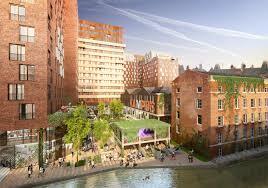 With a lush garden at its heart, KAMPUS will open up a forgotten part of the city providing over 500 apartments in a mix of new and old buildings alongside bars, cafes and restaurants. 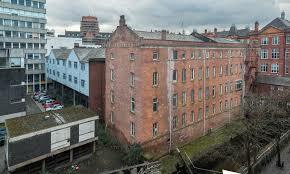 The tour includes a visit into two listed Victorian warehouses, Minto & Turner and Minshull House. 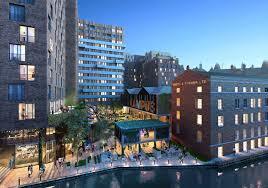 These warehouses were once linked by a canal. They provide a fabulously atmospheric pair of spaces with echoes of the industrial past including cast iron hydraulic packing presses and ornate cast iron weighing machines. The tour also takes in the MMU tower block with its original waffle ceilings - an enduring example of the strange beauty of 1960s architecture. With tales of Spanking Roger and Pink Floyd, the tour covers the rich history of KAMPUS and the many people who've lived, worked and learnt there. There are only four tours so make sure you book quickly. The Paypal receipt acts as your ticket. Meet at the junction of Chorlton Street and Canal Street in the city centre, ten minutes before the tour starts.